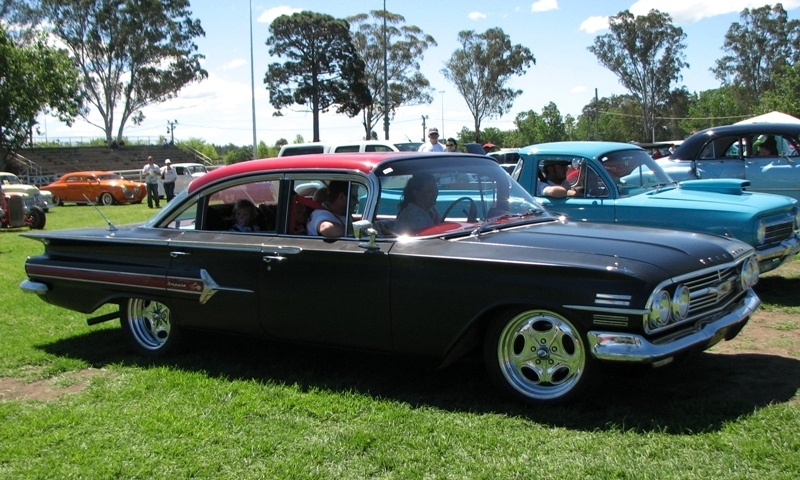 We spied this neat Chev at a show at Camden today. 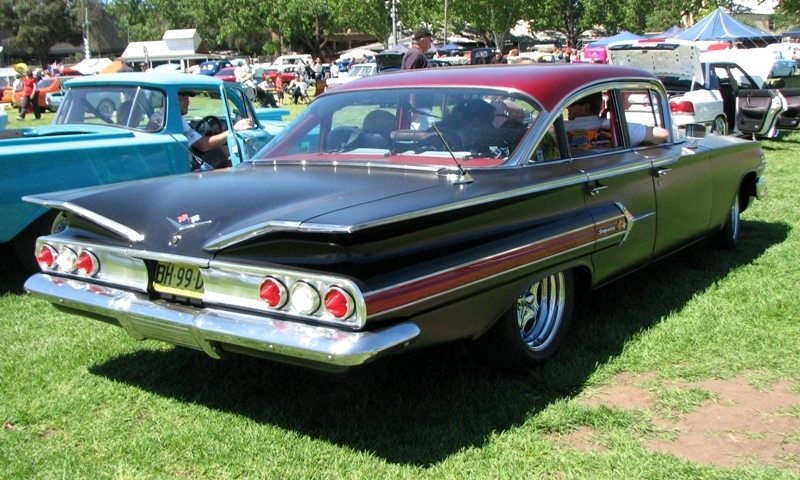 The stance is just right, and the satin black body with the metallic burgundy roof looks a treat. But what we loved most was the row of baby seats across the back bench seat holding a trio of beaming kids!